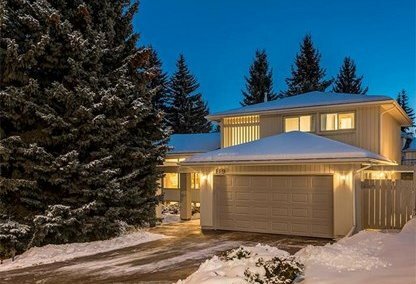 Search Oakridge homes for sale in Calgary! 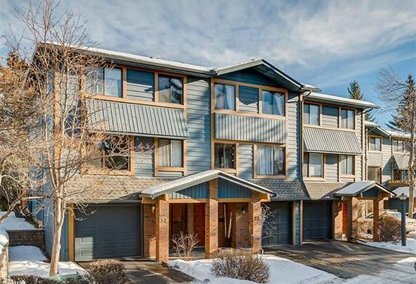 Situated in the south zone of Calgary is the Oakridge housing community, which is a great place to raise a family due to its pleasant environment and plenty of amenities. The area is bordered by the Glenmore Reservoir and Weaselhead Natural Area on its north, Tsuu T’ina first nation reserve on its west, 24th Street W on its east, and 90th Avenue S on its north. For information about Oakridge homes for sale call your Oakridge Calgary real estate team! Oakridge housing market statistics: As of April 25, 2019 there are currently 37 properties for sale in Oakridge listed as active, with an average asking price of $439,592. The highest-priced property is $799,900; the lowest priced property can be purchased for $159,900. Oakridge neighbourhood listings have an average price of $307 per square foot, based on listings with 3.5 bedrooms, 2.6 baths, and 1,484 square feet of living space. Looking to sell or buy a home in Oakridge Calgary? Call Justin Havre at RE/MAX First - 403.217.0003, your neighbourhood Calgary real estate team. We are Oakridge real estate agents and experts on the Oakridge housing market in Calgary. The Oakridge community was annexed to the City of Calgary in 1956; prior to that it was under the jurisdiction of the Municipal District of Rocky View. Ward 11 Alderman Brian Pincott represents Oakridge in the Calgary City Council, and it became established as a neighborhood in 1968. In 2000, only 1.8% of the community was comprised of apartments and condominium buildings, and just 8.4% of Oakridge was for rent. Records of the area show that in the same year the median household income was $72,674. The population in Oakridge homes for sale reached 6,041 in 2006. Oakridge has a plethora of amenities to offer residents of the neighbourhood and its visitors. Popular restaurants in the area of Oakridge real estate include the Super Chinese Food Restaurant, Brewsters, Smitty’s, Boston Pizza, Pointe Feather, Nellies on 90th, Oakridge Phoenix Restaurant, and Involtini Ristorante. There are also plenty of great coffee shops in the neighbourhood for that daily fix, such as the Second Cup, Karen’s Café, Starbucks, Tim Hortons, Cold Stone Creamery, and the Cheesecake Café. Shopping in the area is not a problem for home owners with Zinoha, Anna’s Alterations, Glenmore Landing Pharmacy, Ducks Fashion, Lakeview Super Drug Mart, Pawsitively Natural, Shoppers Drug Mart, and Petite Collection. Pubs and entertainment in the community include Chinook Cinema, Scotiabank Theater Chinook, Point & Feather, Swigs Pub & Grill, Woody’s Taphouse, the Silver Goblet, and more. The Oakridge community is served by the Calgary Girl’s School, St. Cyril School, Palliser-Bayview-Pump Hill Community Association Rink, Cedarbrae School, Louis Riel Elementary and Junior High School, and the Apple Tree Preschool Learning Center. Looking to buy or sell a home in Oakridge Calgary? Let our team of expert real estate agents help you navigate the search for your next home and negotiate the sale of your existing home. As neighbourhood Oakridge real estate agents, we know the dynamics unique to the Oakridge real estate market. We'll help guide your search today! Contact Justin Havre at RE/MAX First - 403.217.0003 to find out more about buyer or seller representation. Selling your Oakridge home soon? Check out our free home evaluation, where you can view Calgary Homes Values online in minutes!